Goldman Sachs‘ current co-COO David Solomon is set take over when current CEO Lloyd Blankfein retires. Shares of the bank spiked after Goldman said its other co-COO, Harvey Schwartz, will retire effective April 20. 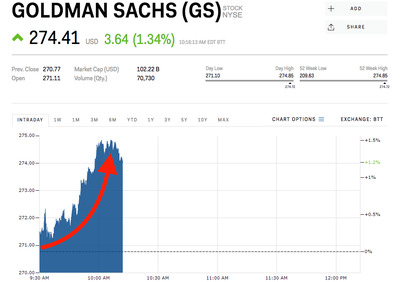 Shares of Goldman Sachs spiked as such as 1.7%, hitting $US274.85 Monday morning, after the firm made an announcement that paves the way for COO David Solomon to replace CEO Lloyd Blankfein. The Wall Street Journal on Friday reported that Blankfein was planning to step down as early as the end of this year, and said his replacement would be chosen from the two runners up: Solomon and his co-COO Harvey Schwartz. 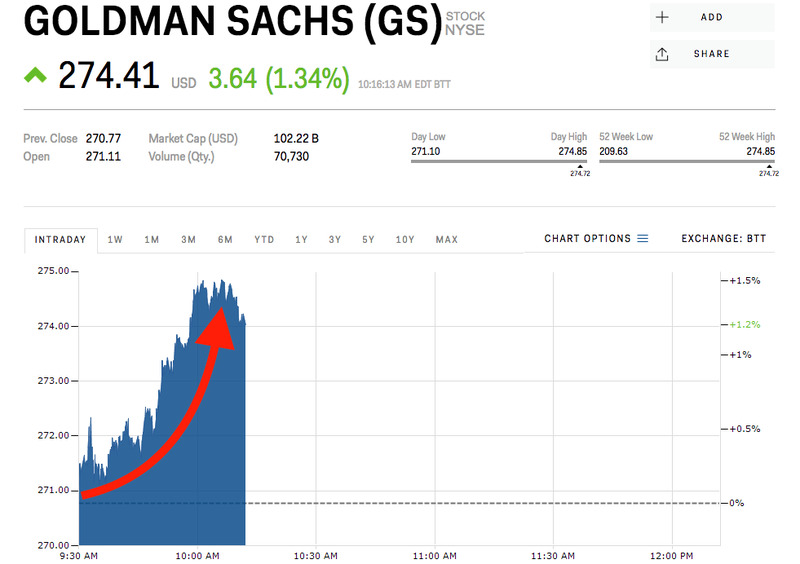 In a press release Monday, Goldman Sachs announced the retirement of Schwartz, effective April 20, clearing the way for Solomon –a weekend EDM DJ who previously ran the firm’s investment banking division for a decade – to take the reigns of the fifth-largest US investment bank when Blankfein eventually steps down. The announcement provided no timeline for when Blankfein will step down. Shares of the bank are up 7.5% so far in 2018.